The are multiple artists with this name. 1. 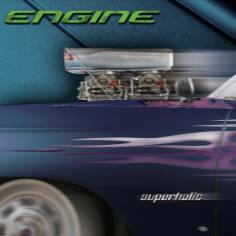 Engine is a heavy rock/metal side project of Fates Warning vocalist Ray Alder, which also features guitarist Bernie Versailles (ex-Agent Steel), bassist Joey Vera (Armored Saint) and drummer Pete Parada (Face To Face). Their self-titled debut appeared on Metal Blade Records in 1999, with the follow-up album entitled "Superholic" in 2002. Engine's style of music hovers around aggressive modern rock, with dense riffs and haunting melodies. There are down-tuned guitars and some distorted vocals, creating a raw, straight forward and energetic sound. 2. Engine is a rock-blues trio from Piteå in Sweden. They had a brief but pretty succesful demo-period during the years of 2004/2005. 3. Engine was a Danish band active in the 1970's.